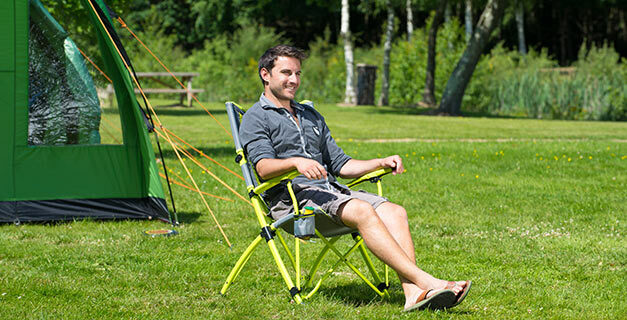 Enjoy seated comfort on the beach, at the campsite or festival with a brightly colored and durable Bungee Chair. This range of eye catching chairs feature a tall steel frame with cushioned seating and an interlocked bungee cord system for optimized back support. With padded arm rests and a swivel mounted mesh beverage holder a Coleman© Bungee Chair has everything you require to make your outdoor experience comfortable and relaxing.